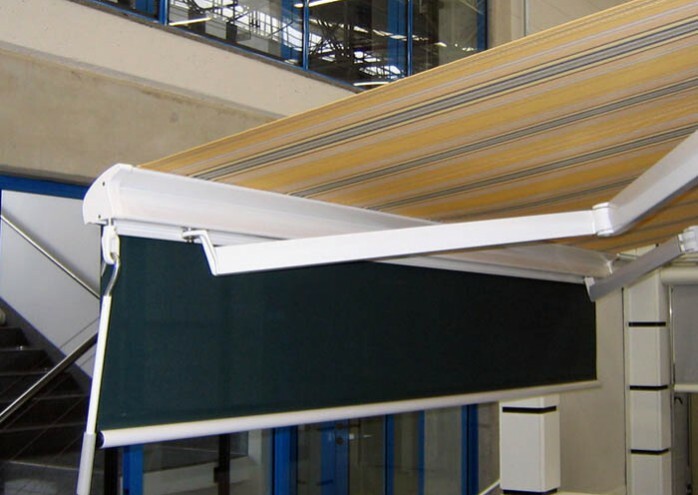 The Select-Plus can be used when an awning with more projection than width is needed. 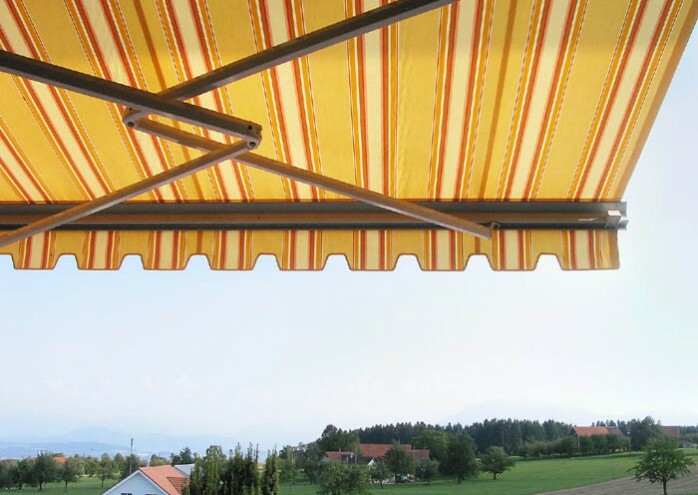 The overall width of the back bar awning is reduced to a minimum without affecting the projection, thanks to a special design with crossover arms. This makes the Select-Plus perfect for balconies, narrow roof terraces, window niches, and more. 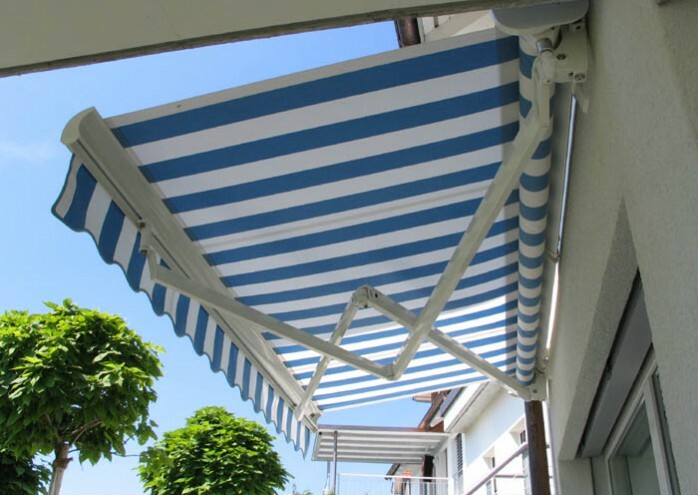 In the rolled-out position, the Select-Plus does not appear any different than a standard folding-arm awning, so it's best suited to work with other Select models. That means options like the hood or drop-down Volant-Plus valance are possibilities with the Select-Plus. The Select-Plus is available with either two or four folding arms, depending on the desired width. The drive can be operated by either a gearbox and crank or an electric motor.